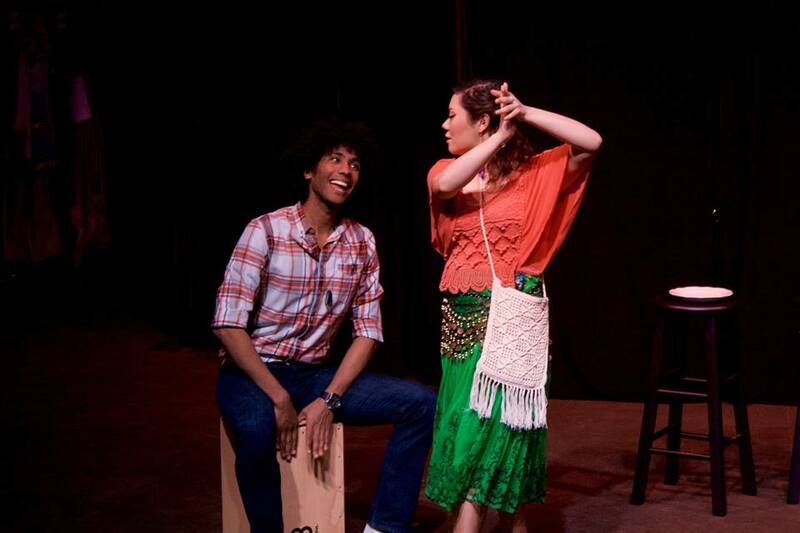 Reno Little Theater launched its 81st season Jan. 12 with the opening of “Mi Vida Gitana,” a seven-scene, no intermission production. The first of three plays in La Gente: Latino Theater, curated by Director Tami Castillo Shelton, a new series for Reno Little Theater. Charlie and Liliana fall in love and imagine a life together free from family expectations, traditions and obligations. Charlie doesn’t want to follow in his father’s military footsteps. He longs to be an artist. Liliana dreams of becoming a writer, but education is against Romani tradition. They “learn by singing and telling.” However Charlie’s mother, Rose (Gloria Stanley), will do everything in her power to force Charlie to have a traditional education and put an end to the romance with the Gypsy tramp. And dangerous Don Armando has no intention of losing an income simply because Liliana is infatuated with a Gadjo, a non-Gypsy. Besides, Liliana is already betrothed even at her tender age, since Romani brides must be virgins. However, Rose hides a secret so dark that the unveiling could destroy the young couple…or could it liberate them? Playwright Malán packs a lot of plot into the 1½-hour production. Add to the mix the dual English-Spanish dialogue, spiced with a few Romani words and the audience must be particularly attentive to follow the conversation and catch nuances in this cross-cultural story. The set is spartan with just two stools and an evocative mural, artistically rendered by Set and Lighting Designer Chad Sweet, so unleash your running-of-the-bulls imagination. I wish I could recommend “Mi Vida Gitana.” Unfortunately for this production, the acting was in large part overacting and the dancing awkward. Singleton’s Texas accent was overdone and distracting. That said, he has a beautiful singing voice and his serenade scene was charming. The bright spot in “Mi Vida” was certainly actor Echeverria. His threatening hand gestures and menacing stage presence were genuinely scary. He was utterly believable as dangerous Don Armando and I knew he meant business. Kudos to this talented performer. I would like to see more of him on the Reno stage. Nevertheless, it wasn’t enough to save the show. The production had the feel of a melodrama rather than the serious piece it was meant to be. Mi Vida Gitana had a six-performance at Reno Little Theater that ended Sunday January 17, but will be touring local high schools.